The name “Jack Daniel’s” always fascinates me! I am sure this happens for every whisky lover. There is a massive fan following for this Tennessee Whiskey all over the world. Well, Jack Daniel’s celebrated its 150th Anniversary in Bengaluru along with few other cities in the world. It was honour for me to be part of this wonderful celebration with some whiskey lovers in the town. In fact, I was too excited to witness this party because of the location. Yes, this happened at “Hard Rock Café Bengaluru,” one of the trendiest, classy and happening places of namma Bengaluru. To enhance the event’s charm, JD announced the Barrel Hunt competition in Bangalore along with another 150 cities around the world. The global hunt was scheduled for ninety day and the winners are awarded with a piece of Jack Daniel’s and Lynchburg history. An invite for himself and his friends to the Jack Daniel’s 150-year celebration party. Invite to the Jack Daniel’s Master Class with the Trade Ambassador. A bagful of Jack Daniel’s merchandise. A personalized sketch with the barrel, framed in a limited edition Jack Daniel’s wooden frame. Moreover, this event unites the global lovers of Jack Daniel’s. This event was scheduled from July through September, beginning with the first hunt at Lynchburg on July 1st. As per Jeff Arnett, Jack Daniel’s Master Distiller barrel plays a vital role in terms of adding right colour and flavour to the Jack Daniel’s Tennessee Whiskey. So, this is remained unchanged in preparation of Jack Daniel’s Tennessee Whiskey since 150 years. Yes, indeed it calls for a party to celebrate the consistency of the brand and customer satisfaction it has provided for the whisky lovers throughout the globe. 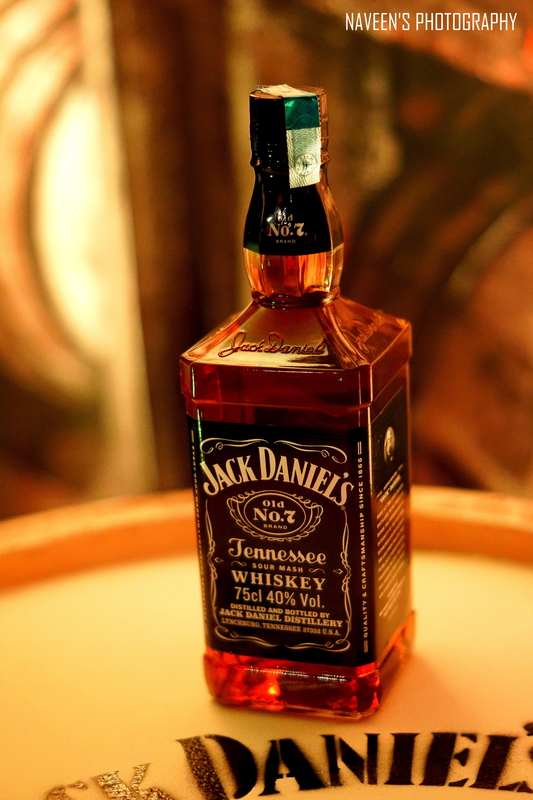 The party at Hard Rock Café signified milestone in the journey of Jack Daniel’s. International band at the venue enhanced the charm of the event. Of course, the event is incomplete without Jack Daniel’s (JD), yes, my JD on the rocks as usual gave me my dose of happiness. Nevertheless, this event was special as it was celebrating tradition and history of JD. A fabulous preset menu consisted of Green Salad, Garlic Bread, Steamed Rice, Paneer Butter Masala & White Sauce Pasta been served for dinner, which was as-usual best. Every barrel part of treasure hunt consisted of handcrafted Jack Daniel’s Tennessee Whiskey prepared from the 150 year old distillery. Apart from the barrel hunt there were many other events which were scheduled to grace the occasion. Along with the celebrations, this great event gave me an opportunity to meet some like-minded people (in terms of JD), indeed it was a pleasure. Lastly, I would like to thank the brand for such a consistent product spanning over years. We need JD for the years to come. Long live JD! It’s just 150th year.